The North Alabama SolidWorks Users Group (NASWUG) is proud to announce our May 2014 NASWUG meeting. The meeting will be held Thursday May 22, 2014 from 5:15pm to 7:30pm at the Dynetics Solutions Complex. Timothy Holman, Application Engineer with Concepts In Production will demonstrate how SolidWorks Inspection can help users streamline and automate the creation of ballooned inspection drawings and inspection reports for both First Article Inspection (FAI) and in-process inspection. Michael Burks, Application Engineer with MLC CAD Systems, will give us a look at SolidWorks Enterprise PDM (EPDM), SolidWorks’ full-featured data management solution. information, and eat free food! The North Alabama SolidWorks Users Group (NASWUG) is proud to announce our February 2014 NASWUG-RSA meeting. The meeting will be held Thursday, February 20, 2014, from 11:00am to 1:00pm at the Redstone Bowling Lanes on the grounds of the Redstone Arsenal. This is located just to the right when coming in the Patton Road Gate. Click HERE for a Google Map of the Meeting Location. Please join us as Mike McKervey, Application Engineer (AE) with ModernTech, will be presenting on SolidWorks Costing, using Custom Materials in SolidWorks Simulation, and a walk-through of SolidWorks Weldments. The North Alabama SolidWorks Users Group (NASWUG) is proud to announce our January 2014 NASWUG meeting. 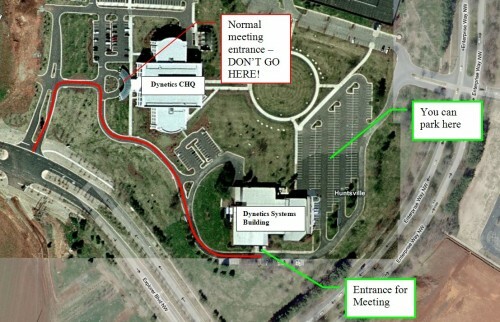 The meeting will be held Thursday January 23, 2013 from 5:15pm to 7:15pm at the Dynetics Solutions Complex. Please join us for an Introduction to DimXpert and TolAnalyst. This is a preview of Brian McElyea’s SolidWorks World 2014 presentation. Following this session we will present Tips and Tricks in SolidWorks. The North Alabama SolidWorks Users Group (NASWUG) is proud to announce our Year End December 2013 NASWUG meeting. The meeting will be held Thursday, December 5, 2013 from 5:15pm to 8:00pm at the Dynetics Solutions Complex. Please join us as Utpal Kumar, R&D Application Define Manager at SolidWorks will be presenting on SolidWorks Library Features and Smart Components. 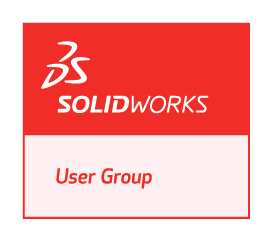 This month’s meeting is sponsored by SolidWorks, Dynetics, and The Rapid Group (more sponsors may be added; please check our website for the latest information). Intuitive Research and Technology Corporation has graciously offered to provide door prizes for our April 2013 NASWUG Meeting tomorrow night! If you haven’t signed up for the meeting yet, RSVP today. Make sure you check out our meeting announcement for all the details on what will be shown. I thought I would have some fun with this and do a Top Ten List. – So here goes! 1. 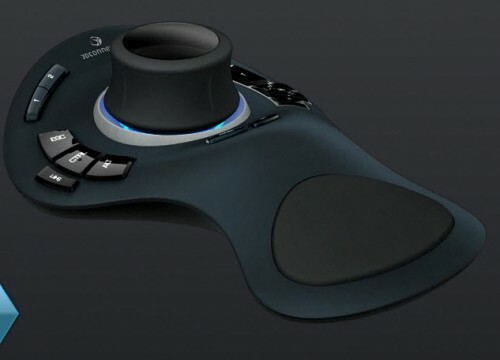 You could win a 3Dconnexion SpaceExplorer! Many 3D CAD pros swear by these devices. The retail value for this device is $299.00 (USD). Click the image below to learn more. 2. You could win a 6 month license of SolidProfessor Online SolidWorks Training! 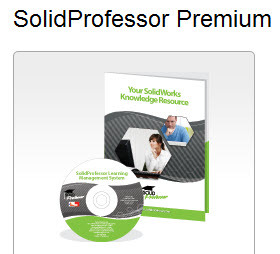 This has all the courses that align with the SolidWorks Premium offering. The retail value is $400.00 (USD). 3. Be a part of HISTORY and attend the 50th NASWUG Meeting! I am challenging everyone to attend and help us break our attendance record! There is not a better time to do this! 4. I haven’t met anyone who doesn’t like FREE FOOD! Come join the fun! 5. See first hand why the SolidWorks Community of Users is the strongest CAD user group in the world. 7. Be one of the first in Huntsville to see SolidWorks 2012. 8. Meet other Huntsville area CAD professionals who use SolidWorks. 9. Learn Tips and Tricks within the Software that will make you more efficient as a CAD user. 10. If you don’t win one of the Grand Prizes….don’t worry…we have MORE Door Prizes to give away! SPECIAL PRIZE: I will have a special prize for the user group member who brings the most CAD users from their company to the meeting! If you have any questions about the meeting, please don’t hesitate to e-mail me (ricky@naswug.com). I truly hope to see you there! The North Alabama SolidWorks Users Group (NASWUG) would like to announce our November 2010 NASWUG-RSA meeting. The meeting will be held on Tuesday November 9, 2010 from 11:00am to 1:00pm on the grounds of the Redstone Arsenal. The meeting will be held at the Redstone Bowling Lanes. This is located just to the right when coming in the Patton Road Gate. Click HERE for a Google Map of the Meeting Location. Join is for TWO SolidWorks World 2011 Presentations! Rustin Webster will be presenting “IAW ASME Y14.5M – Use Only if You Know It” and Jeremy Clark will be presenting “SolidWorks Mates: Tips, Tricks, and Common Sense” Both gentlemen will be giving these presentations at SolidWorks World 2011 in January and have agreed to give us all a sneak peek. We have a slight change in our meeting location for tonight’s NASWUG meeting. We will be meeting in the Dynetics Systems Building which is located directly behind/beside the Dynetics CHQ building where we normally meet. Below is a campus map showing the new meeting location. THERE WILL ALSO BE SIGNS OUT FRONT TO POINT YOU IN THE RIGHT DIRECTION.